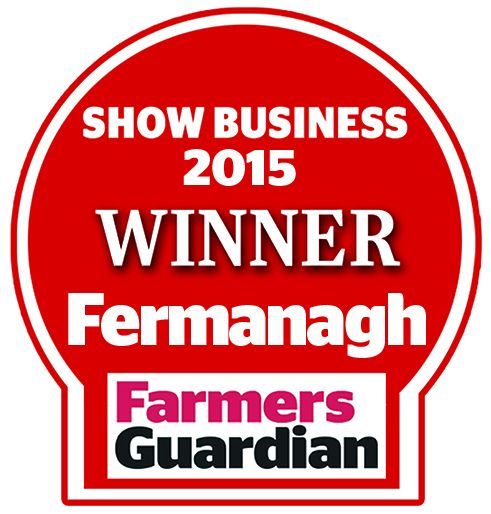 Fermanagh is the traditional finale to the summer showing season in Northern Ireland. As well as attracting entries from breeders right across he province. The event is unique in providing pedigree and commercial farmers in Fermanagh with a specific incentive to show their animals in the form of the Vaughan Trust, which hosts a range of beef and sheep classes, specifically for producers farming within the county boundary. The All Ireland dairy championship this year was won by the McLean family from Bushmils in Co Antrim with their home-bred Holstein third calver Priestland 495 Shott Bedazzle. The Shottle daughter, calved in April and is currently giving 50 litres of milk a day. Judge, Paul Hannon from Co Limerick, described her as having tremendous all round dairy strength. He said: “The cow is not overly tall but still has tremendous scope. I was very impressed by her openness of rib, a tremendous rear udder attachments plus excellent feet and legs. Bedazzle has won four breed titles and three inter-breed championships during the 2015 show season in Northern Ireland. 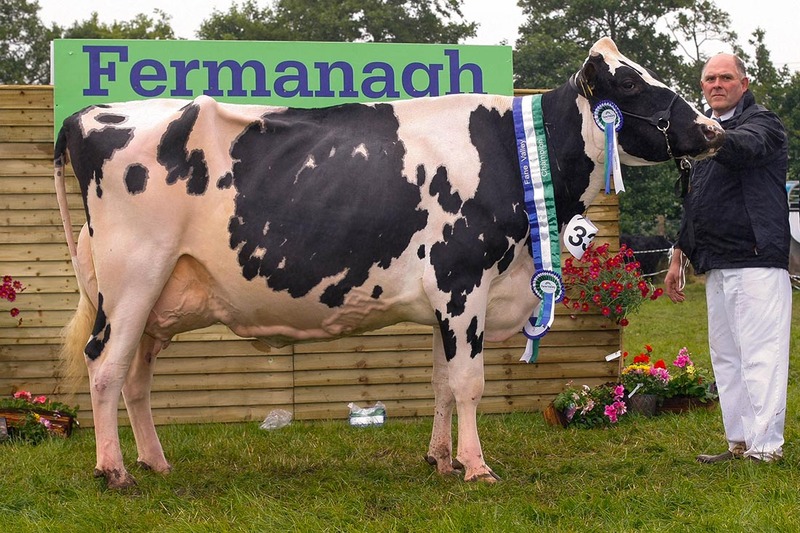 The reserve champion Holstein Lisnacloon Stanelycup Amy – exhibited and bred by William Hunter, North Co Tyrone – went on to secure the reserve dairy inter-breed award. The judge described the daughter of Gillette Stanleycup as an excellent young cow with tremendous potential for the future. The pedigree beef championship was won by the Matchett family, from the Birches area of Co Armagh. Their home-bred Aberdeen-Angus cow, Birches Lady Heather M026, by Carringroe Fred, caught the eye of the judge, John Applebee, who described her as an almost perfect example of the Angus breed. The presence of her April-born bull calf by Birches Lord Heath, highlighted the cow’s value as a breeding animal. 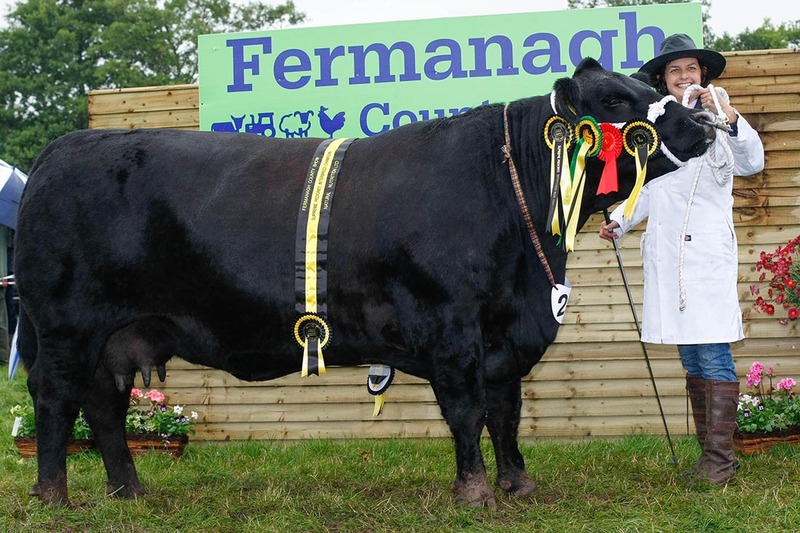 Lady Heather had previously secured inter-breed reserve title at Lurgan Show and was the Angus Ulster Champion in 2014. The reserve pedigree beef title went to Co Fermanagh Hereford breeder David Wilson with his young bull Lisrace Lumberjack, by Ballyaville Lifeliner. Judge John Applebe, Clonakilty, described the animal as having all the traits required of a top quality breeding animal. The bull was sired by Ballyaville Lifeliner. Desmond Knox, from Kesh, took the sheep inter-bred championship with a two shear Rouge ram, bred by his brother, George and nephew Albert, from Crumlin in Co Antrim, owners of the Kinsella flock. 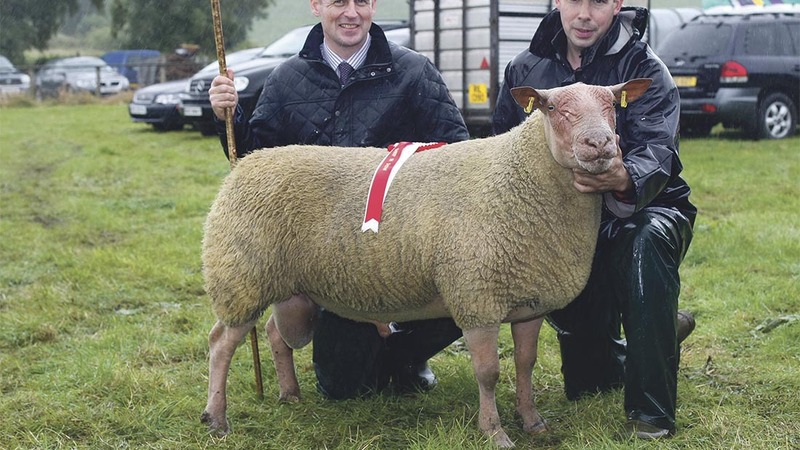 Judge, David Mawhinney described his champion as a breeding ram with tremendous potential. The Texel classes were extremely competitive at the show. Recent weeks have seen Augher-based Louise Breen, pitting her wits against Omagh-based Brian Williamson and Adrian Liggett. Breen won the inter breed sheep championship at Limavady with her two-shear ewe while Wilson and Liggett took home similar honours at Antrim and Augher with their two-shear breeding female. But on the day Louise brought the Texel championship rosette back home to South Tyrone. All Ireland dairy champion (P. Hannon, Co Limerick) Supreme, McLean family, Priestland 495 Shott Bedazzle (Holstein); reserve, W. Hunter, Lisnacloon Stanleycup Amy (Holstein). Holstein (A. Foody, Ballina) Sup., McLean family, Priestland 495 Shott Bedazzle; res., W. Hunter, Lisnacloon Stanleycup Amy. Coloured breed (A. Foody) Sup., S. and N. Baxter, Erne Special Ghost (Ayrshire); res., J.J. Gunn, Ernevale Ipod Jemma (Jersey). Pedigree inter-breed (J. Applebee, Clonakilty) Sup., Matchett famiy, Birches Lady Heather M026 (Aberdeen-Angus); res., D. Wilson, Lisrace Lumberjack (Hereford). Aberdeen-Angus (J. Applebee) Sup., Matchett family, Birches Lady Heather M026; res., J. and S. Allen, Crew lady Jazz R004. Hereford (J. Appleby) Sup., D. Wilson, Lisrace Lumberjack; res., R.M. Richmond, Corraback Olive 6. Charolais (W. McAllister, Co Antrim) Sup., S. McGovern, Ratoary John Deere; res., S.J. Smyth, Bessiebell Incredible. Simmental (M. Durno, Banfshire) Sup., C. Traynor, Kilmore Floyd; res., C. Traynor, Kilmore Fitz. British Blonde (J. Paynter, Co Armargh) Sup., Ivaniskey Farm, Ivaniskey Denise; res., P. McGarry, Budore Garnet. Commercial (B. Sinnamon, Co Armagh) Sup., Corrie and Neill, She’s All That. Inter-breed (D. Mawhinney, Co Down) Sup., D. Knox (Rouge). Texel (B. Hanthorn, Co Armagh) Sup., L. Breen; res., Williamson and Liggett. Any other pure-bred (D.Mawhinney, Co Down) Sup., Knox family (Rouge).